Trevor Chappell: Still waiting for the truth to be told ! 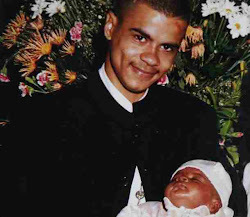 Robert Edwards: Another death whilst in police custody ! The Independent Police Complaints Commission (IPCC) has begun an investigation into the death of a man in hospital several days after his detention in a police cell in Bury St Edmunds. Police were contacted shortly after 8pm on Friday 20 May following reports of a disturbance in Bury St Edmunds. Officers conducted a search, and arrested 55-year-old Robert Edwards, from the town, a short time later on suspicion of assault in connection with an alleged ongoing domestic incident. Mr Edwards was taken to the local police station, where a healthcare professional examined him and decided he was fit to remain in police custody and that there were no apparent injuries. Shortly before 2am on Saturday 21 May, he was conveyed by paramedics to West Suffolk Hospital after becoming unconscious in the police cell. He died in hospital on Wednesday 25 May. Suffolk Police referred the matter to the IPCC on 21 May. The IPCC has since decided to conduct an independent investigation. Investigators have attended the police station at Bury St Edmunds to begin gathering evidence and to review CCTV footage from the custody suite. The family of Mr Edwards have been informed of the IPCC’s involvement. As I stated during my interview on BBC News last night, I believe that the police are acting as the biggest, armed, government-sponsored gang. Interestingly, rather than informing myself or my solicitor in advance, as would be normal procedure, the findings of the investigation were released straight to the media, late on a Friday afternoon. It is becoming increasingly clear that the police are intent on whitewashing what is a clear case of police brutality. They have now admitted to striking me with a baton, and there is video evidence, which has been viewed by hundreds of thousands of people online, of a police officer tipping me out of my wheelchair and dragging me across the road. Ian Tomlinson : Facebook: Officer to face manslaughter charges. PC Simon Harwood was a rogue officer and his manslaughter trial will, thankfully, make him the scapegoat we're desperately seeking. Not the official Twitter channel of CO20, The Territorial Support Group of the Metropolitan Police. *Just a parody. Ian Tomlinson: Investigation reports may be read here. Ian Tomlinson : Prosecution decision. Prosecution decision over Ian Tomlinson death to be announced tomorrow at 11am - precise moment Barack Obama lands in the UK. Deaths in State Custody Parliamentary Log. Death in custody: Nineteen year old is sixth teenager to die in custody this year! Colin McConnell (19) Frances McKeown (23) Died while in young offenders centre BOTH on May 5th !!!!!! Four more people have died in police custody this month. Anthony Davies from Crewe died after arrest on 7 April. Colin Ranford from Worcester died on 13 April. Kirk Williams from County Durham died on 17 April. And Michael Sweeney from Bow, east London, died on 18 April. Ian Tomlinson: Family campaign..Police who kill should be prosecuted..
Trevor Chappell: A campaign for justice for Trevor Chappell who died after police contact..many questions that need answers. Smiley Culture: New Campaign blog spot. Trevor Chappell: Mysterious death surrounds police involvement earlier that day. Menmedia News Article below; It was also aired on BBC Radio Manchester (Beswick at Breakfast). The article details are a little limited, as it fails to mention police involvement prior to him being found or of an altercation. Also the hospital actually reported his death to the Police and Coroner as suspicious. All the hospital records have been obtained and there is no mention of a doctor stating what the detective said. His death was actually recorded by the Pathologist as heart failure and there is no mention of any of the suffered wounds and injuries on the report as there should be. The Polce officer who attended has not been available to speak and is apparently no longer at the Force. Trevor Chappell an article by Broxted on the up and coming anniversary of Trevors suspicious death. Two years ago, FIT cops Steve Discombe, Alan Palfrey and Ryan Cowlin stood only feet away from Ian Tomlinson when he was hit by PC Harwood, a blow which led to Tomlinson’s death. But, according to an IPCC report out today, they claim to have seen very little of the attack and didn’t even bother to include it in a written report. In fact they appear to have done everything they could to prevent the truth becoming known. PC Steve Discombe is a field intelligence officer in New Scotland Yard. As is Cowlin. Palfrey is a borough officer from Camden who regularly takes on a FIT role. All three are well-known for harassment, intimidation and violence. A woman is refusing to bury her father because she claims the authorities have not investigated his death thoroughly enough. Trevor Chappell, 75, was found dead near his home on Shaw Hall Bank Road, Greenfield, on May 13. A post-mortem examination concluded that he died of a heart attack. But the body of the grandfather-of-one still lies in Royal Oldham Hospital’s mortuary, because his daughter Louise Kench believes someone else is to blame for his death. Mrs Kench claims ‘horrific’injuries to her father’s face, including what she believes is a footprint on his forehead, are the result of an assault. Greater Manchester Police say there is nothing suspicious about Mr Chappell’s death and Oldham’s coroner Simon Nelson says he is not going to hold an inquest. But Mrs Kench, 40, from Bridlington, says she will not allow his body to be buried until ‘justice is done’. She said: "I went to identify dad’s body with my son and dad’s sister and we all got the shock of our lives. It was horrific and not what I was expecting. There was a lettered imprint on his forehead, and grazes and cuts all over. He was black and blue. His face was swollen and there was dried blood coming from his nose. We are being told he had a heart attack and fell over, but it’s perfectly clear to us that something terrible happened to my dad before he died. We cannot move on until our questions are answered fully. A family shouldn’t have to go through this. The investigation has not been thorough enough." Mrs Kench has also accused Pennine Acute Hospital Trust, which runs Royal Oldham, of ‘cleaning’ Mr Chappell's body, despite her instruction to the contrary. She said: "When we saw the injuries we told mortuary staff not to touch dad's body until we had carried out our own investigation but when we visited dad's body again it had been wiped clean. Luckily we have our own pictures." A spokesman for the Pennine Acute Hospitals NHS Trust said staff were following procedure. "Before family members loved ones at the mortuary, the mortuary staff always ensure that the body is made presentable. Mr Chappell’s was not a forensic case. The Trust understands that the cause of death has now been established and that the family have been informed by the Coroner’s Office." Detective Inspector Darren Meeks, who led the investigation, said: "The initial findings by a consultant at the Royal Oldham Hospital was that it was likely that Mr Chappell had suffered a heart attack. His injuries were consistent with falling to the ground face forward. These findings were confirmed by a post-mortem examination. There is also no evidence of a footmark on his face, and if there were any unexplained injuries the post-mortem would have been stopped and a full forensic Home Office post-mortem examination requested. I understand Mr Chappell’s family are going through a difficult time and we continue to offer them as much support as they need. However, there is no evidence to suggest there is anything suspicious about Mr Chappell’s death." Mrs Kench has instructed a solictor and plans to hire an independent forensic pathologist to take another look at her father’s body. Oldham coroner Simon Nelson said he would only look again at Mr Chappell’s case if any new information comes to light. He said: "I have no difficulty with the family now employing an independent pathologist and if there are any addditional or diffrent findings I will take a different tact. It’s a very difficult time for family who are in the grieving process and I have offered them my condolences." Trevor Chappell was born in Saddleworth and spent his working life working in retail before having to retire early because of a back injury. He was a fundraiser for Royal Oldham Hospital and for Christ Church in Friezland. He was married to Joan for 45 years until she died from lung disease last year. The couple had a daughter and a grandson Peter, 19. The family are appealing for anyone who can help their investigation to contact them via L.kench@btopen world.com. Democracy in th UK ????? There was previous police involvement on the day of his death. There is also history of land dispute difficulties, which he and his wife tried to resolve by putting the matter to be heard at County Court, but police officers prevented those proceedings from happening and a fair hearing, in that charges were made to criminalise matters before the civil proceedings got to court. After >3 years of fighting through ‘the system’ eventually the criminal charges were forced to be dropped as witnesses spoke, documents, receipts, bank statements and more to prove false allegations were submitted over again. But because it was thwarted, the civil land matter remained (some officers had lived in the row of houses (Mr and Mrs Chappell didn’t know they were officers until they ‘acted’)) and wanted to privatise a communal right of way, but Mr and Mrs Chappell’s property deeds clearly show rights of all to use the shared pathway and outbuildings, one of which the Police Officer resident dismantled in anger of objections- privatising of what is legally communal was their motive and only priority. It was necessary for Mr Chappell to continue to, and he was legally entitled to, use the path out of the rear of his property, due to disability as it was flat with no steps. The path runs directly outside the back doors. At the time Mr and Mrs Chappell pursued all issues with IPCC, MP’s, Councillors and even wrote to Parliament, but nothing resulted. On the day of his death enquiries were made at the police station, the desk officer said there had been an altercation, this was later denied as being recorded. There has been refusal to application of police records. All is known is that his wounds and injuries are not consistent with what is recorded as the mode of death , records have been withheld and the pathologist has not recorded the significant wounds and injuries, why?? Does the background history have anything to do with what happened on the day of Mr Chappell’s death? That this House is concerned about the use of undercover police officers to infiltrate protest groups; notes the recent decision by the Director of Public Prosecutions urging 20 climate activists to appeal their convictions and that this decision followed allegations that police suppressed evidence relating to an undercover officer; considers that the inquiry with the widest remit, being conducted by HM Inspectorate of Constabulary into the operational accountability of undercover work, is inadequate in scope and insufficiently independent to respond to the many and serious issues raised by the exposure of undercover police officers; and calls for a full and independent inquiry into undercover police surveillance of UK protestors. Did the police deliberately issue misleading and inaccurate information on the first post mortem which took place on 3 April 2009? 128. The first post-mortem did indeed find that Mr Tomlinson died of a heart attack. Injuries to Mr Tomlinson‟s thigh (a bruise) and calf (laceration) were found but not regarded as significant by Dr Patel. While it is acceptable that the post mortem did not find those injuries to be significant, it is bizarre that they were not disclosed to the family. Trevor Chappell: Seeking to find the truth because somethings just not right. All that #TChappell ‘s family know is that there was a reported altercation, Police involvement, and that he was found in the street, but they do not know who found him nor of any possible witnesses. Information has been withheld, and their applications for documented records have been refused. Why have the facts been covered up. Why a denial of the wounds and injuries sustained, instead of documenting them and determining the cause? Why was the officer unavailable and is now apparently no longer on the Force? Why have the paramedics recorded totally different information than that of the Police and Pathologist? Why did Mr Chappell’s family have to insist on an investigation in the first instance, when the Hospital had reported his death to the Coroner and Police as suspicious, and particularly when there had been police involvement? How does one suffer significant wounds and injuries on BOTH sides of face and central face from a standing fall on flat ground, as the authorities would have one think was the case?? A fractured sternum, two black eyes, bleeding from ears, nose and mouth, lettered imprints… It’s totally disgusting for them to sweep it under! GMPolice have acted inappropriately re. matters of a Right of Way dispute that had been ongoing and which should have been allowed to be heard at County Court (Mr Chappell and his wife listed it for hearing) but instead it was thwarted by officers with a personal ‘interest’ in privatising communal rights. Was the altercation on the day of his death related? Mr Chappell was found at the end of the walkway and this said path was his only means of getting out due to restrictions of his disability. The path is at the rear of the property and is the only way out at the back door, it is a right of way access, with a right to pass and re-pass as documented on the property deeds. Trevor Chappell: Images of injuries sustained..
Heart Failure certainly does not cause (as indicated by GMPolice) what Mr Chappell suffered: i.e. lettered imprints on forehead, face black and blue, black eyes, severely swollen head and face, swollen lips, disfigured nose, fractured sternum, obstructed airway , cuts and bruises on both sides of face, central and forehead. This list is not extensive…… Please ensure that answers which make sense are given in explanation so that the family may work towards finding closure! Photographs are available of the wounds and injuries that Mr Chappell suffered and resulted in his death. Why have the injuries not all been logged, as they should be in an investigation into suspicious death?? GMPolice were in attendance prior to his death but the records no longer exist apparently? Why is there no official documentation of the police entering Mr Chappell’s home, nor of all what was taken by them? All the family are aware of is of returned exhibits (including medication taken from his home), recorded by an officer who has been unavailable to speak? All unanswered issues need to be given regard. Also, Why is the Police Officer unavailable?? Trevor Chappell was born in Saddleworh and continued to live there all his life. He was extremely proud of his roots and particularly of having lived at the same address for > 50 years. 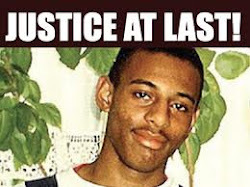 On the 13th May 2010, he lost his life, and his family continue to fight for a thorough investigation into his suspicious death and of Police Involvement. 'The more I discover about dead men, the more suspicious I get..'. For anyone who's been following the latest developments with the Ian Tomlinson case, the following article over at the Press Gazette is well worth a read. The MET: FOUR police officers beat and mocked terror suspect...they deny the charges.